The National Air and Space Museum’s Steven F. Udvar-Hazy Center in Chantilly, Va., will host family-friendly activities throughout the summer to meet every staycationer’s needs. 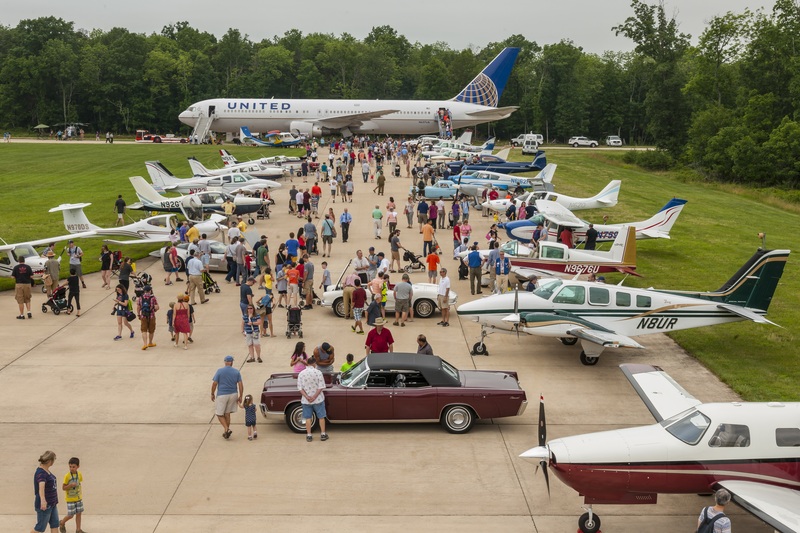 Special themed events and family days are scheduled, including the popular “Innovations in Flight Family Day and Aviation Display,” which will return June 16, Solstice Saturday and “STEAM Family Day.” Free concerts will run May through August in the Space Hangar. “Innovations in Flight Family Day and Aviation Display” will explore the engineering and design innovations that have taken place during the past century of flight. On June 16, for one day only, visitors will have the opportunity to walk among more than 50 vintage and modern aircraft on display outside the museum and speak with the pilots. Visiting aircraft highlights include a Navy P-8, an Air Force F-16, C-17, KC-10 and a NASA T-38 trainer. A “wide-body” commercial plane, helicopters and antique cars will also be on display. The museum will host “STEAM Family Day” July 14 where visitors will learn about the science, technology, engineering, art and mathematics of aviation and space. Activities will include safely looking at the sun with a solar telescope, creating structures that are works of art and learning to program robots that can travel to other planets. Visitors will also have the opportunity to explore the intersection of STEAM and aerospace by hearing from STEAM professionals working in the field. Each of the summer family days take place from 10 a.m. to 3 p.m. and are free to the public, but parking is $15 at the Udvar-Hazy Center. To learn more about family days at the museum, visit the museum’s website. The museum will be honoring the summer solstice with a day and night of activities at both its National Mall and Chantilly locations Saturday, June 23. At the Udvar-Hazy Center, visitors will explore the solstice though planetarium shows, solar observing, story times and hands-on activities. An outdoor evening showing of WALL-E will take place on the airplane ramp outside of the building at 9 p.m., doors open at 8:15 p.m. The 2018 Concert Series will begin May 27 with the Ambassadors Jazztet of the U.S. Army Field Band. The free series will also feature the Navy Sax Quartet, June 24, the City of Fairfax Band, July 22 and the Loudoun Jazz Ensemble, Aug. 26. Each performance starts at 4:15 p.m. and will last 45 minutes. No tickets are required and parking is free at the Udvar-Hazy Center after 4 p.m. Note: Summer hours for the National Mall building are in effect until Sept. 9, unless otherwise noted: 10 a.m. until 7:30 p.m. Check the museum’s website for the most up-to-date times.